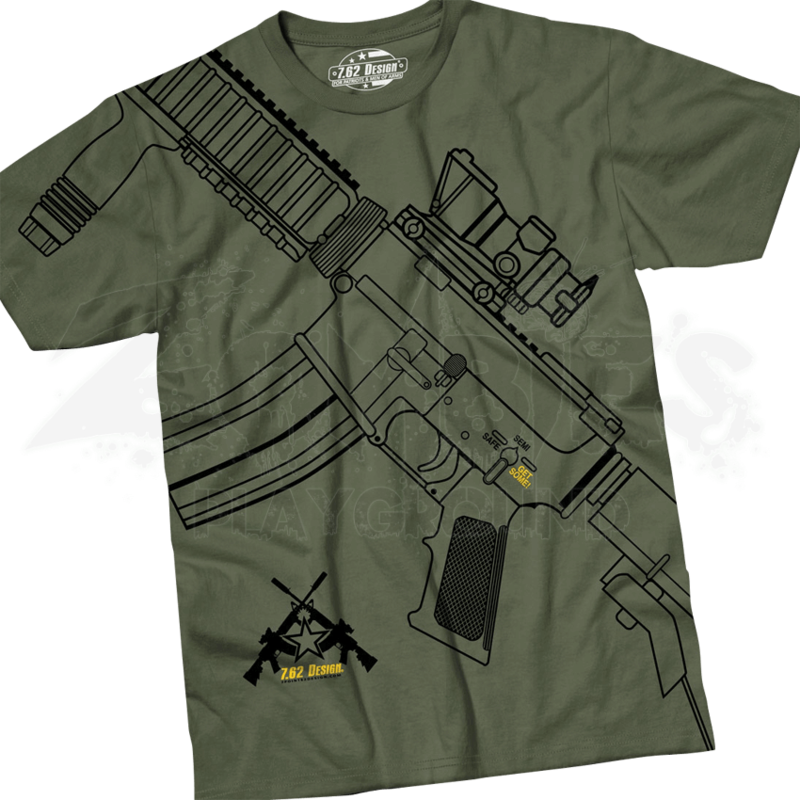 This military t-shirt works great for all the fans of firearms out there. 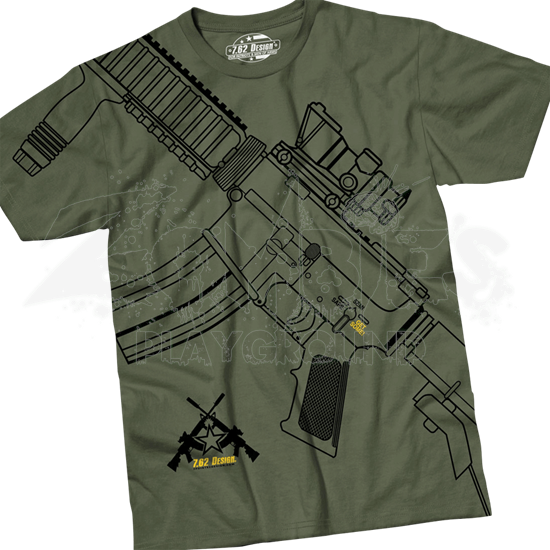 The Get Some T-Shirt has taken the design of the M4 Fighting Machine and stylistically printed its outline over the front in precise detail. This rifle, typically carried by soldiers, sits at an angle across the chest, displaying the grip, clip, and scope. This rifle features three firing settings, which range from safe, semi-automatic, and the currently selected GET SOME! Emblazoned on the corner of the front appears a star with two rifles crossed over it, a design that repeats on the back of the gun shirt. Show your support for our armed forces by wearing this eye-catching patriotic shirt!